When you pick a ski jacket there are several different variables to factor in. Where do I spend most of my ski time? How much waterproofing do I need? What is my preferred style? And of course, what is the price range I am looking to stay in? If you’re curious to check out my favorite ski jacket at Amazon, then click here. All of these are very important questions to have answered before you begin trying on jackets. The aim for today is to arm you with the knowledge you will need to make sure you get a quality ski jacket that will last you for years to come. Right away we know, a waterproof jacket is a must (you are playing on powdered water). To be able to call itself waterproof, a jacket first has to be made out of waterproof fabric. But there are levels to this, not all waterproofing is created equal. Waterproofing fabric is measured by millimeters, the higher the millimeter, the higher the rating. For skiing or snowboarding, you want to look at getting a jacket at around 10,000 to 20,000. You want to aim high when it comes to waterproofing. Ski Jackets come in several different styles. There are insulated jackets (which have various types of insulation), you have 3 in 1 ski jackets that give you the option to wear the jacket as a shell or have it insulated. And then you have shell jackets. My opinion, shell jackets are the best because it gives you the flexibility to add or remove layers underneath the coat. But the choice is yours, and it largely depends on how cold of an environment you’ll be in. 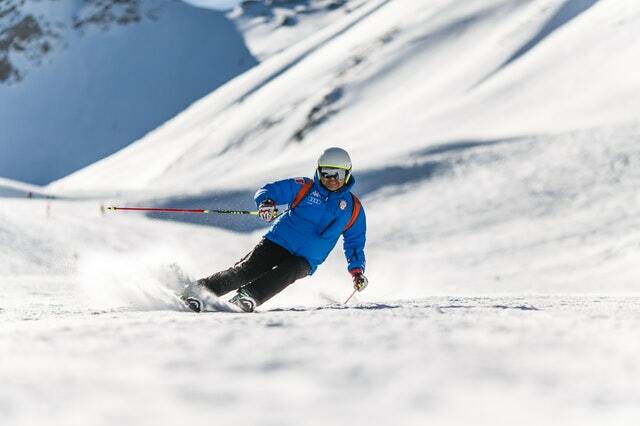 Budget and Breathability are the 2 main factors to consider when picking a ski jacket. This isn’t an absolute necessity, but if you are an active person, you will want to have a jacket that is breathable. 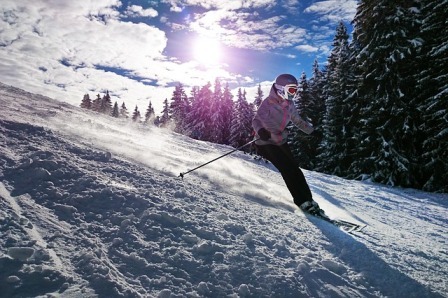 The reason behind this is because, while skiing or snowboarding you will be exerting energy and you will sweat. A breathable jacket allows the moisture to leave your body so that your clothes don’t get damp, leaving you cold after you have cooled off. Budget is always a big deal, and it is no different when it comes to ski jackets. With that said, the more you spend on a ski jacket, the longer it will last. Ski jacket is unlike a lot of other clothing articles. When buying a pair of jeans or a pair of socks the amount of money you spend isn’t always indicative of the quality of product you are getting. The opposite is true for a ski jacket. The technology that goes into a good ski jacket is expensive, but it is also necessary if you want to be comfortable while on the slopes. Try not to skimp on prices here. Okay, so we have all the information we need to figure out which jacket best suits our needs. Now it is time to go shopping and pick out the jacket we will be wearing for the next few years. This North Face Ski Jacket is rated at 11 g/m so it can withstand the coldest of climates. It also has a removable shell. This North Face jacket is priced pretty steeply, but I think it will be well worth the money. It is from North Face, so it goes without saying that you are getting tremendous quality in the product. It is an insulated jacket rated at 11 g/m, so it will be good for the coldest of climates and the shell can be removed. It is also a breathable jacket so no need to worry about getting damp and soggy while skiing. And of course, it’s also waterproof with fully sealed seams. You should get this jacket if you are going to be skiing in extremely cold environments. The Lega Waterproof Ski Jacket is super affordable. But it tents to hold moisture more so it can be uncomfortable. The Lega Waterproof jacket obviously is waterproof made with performance standard 2-layer nylon that is Durable Water Repellent while the outer shell is 100% polyester. The waterproofing qualities are there, but it is not rated as highly as a more expensive jacket will be. The breathability of this jacket is sufficient; I don’t think you will feel like you’re retaining too much moisture from your body. However, it is made of fleece and fleece has a tendency to hold in a little more moisture than some of the other insulators. This Jacket is much less expensive than the previous, but you are getting much less in return for your money as well. If you are not willing to spend more than a 100 dollars this is probably a jacket that you can live with. This Columbia ski jacket has excellent ventilation and wicking capabilities. Outdry is Columbia’s patented design that is among the best fabrics when it comes to keeping moisture off of your body and outside of your jacket. This jacket is also a little more on the expensive side, but again it is well worth the money you will be paying. It is the first product made from Columbia that has a soft 100 percent waterproofing fabric on the outside with fabric on the inside meant to wick away all of the moisture. Its external shell is fully seam sealed, has external seam tape and two-way underarm venting to maintain you body temperatures and keep you dry the whole day. My favorite ski jacket by far is the Columbia Outdry jacket. It’s affordable and stacks up nicely compared to other, more expensive jackets in terms of tech and design. An air mattress is an affordable way to make nights out camping as comfy as a night at home. Check out my recommendations here. There’s nothing worse than hiking with a pair of uncomfortable pants. Avoid making this mistake and check out my tips here. I love hiking poles! They make life so much easier. If you’re looking for a pair to make hiking a breeze, look no further than my top picks.